Charlotte and Trooper are expecting puppies June 9th !!! Call or email to reserve yours! We are located in Moville, Iowa, which is just east of Sioux City, IA, right off of I-29. 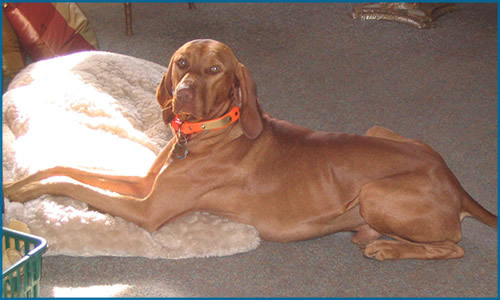 We are a family operation that takes pride in the Vizslas that we breed. They are an incredible breed and they have worked their way into our hearts and into our family! All puppies are born and raised right here in our home with our children. We believe in early socialization and every puppy is handled every day and will experience the noise and activity in our home. 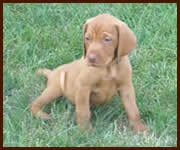 It is our goal to breed Vizslas that have a loving temperament, excel on the hunting field, and have good conformation. All of our puppies are checked by a licensed veterinarian, they have their tails docked, their dewclaws removed, they have their first set of puppy shots and are dewormed two or three times (depending on age at placement). 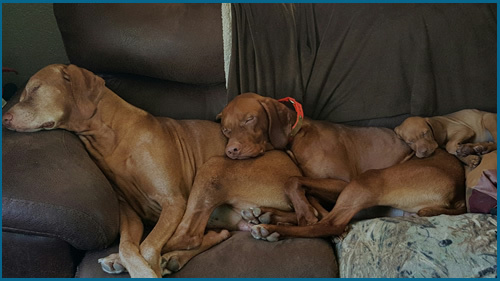 Pedigrees, references from past customers, and a phone number to our veterinarian are all provided are all provided to you along with the AKC registration papers. 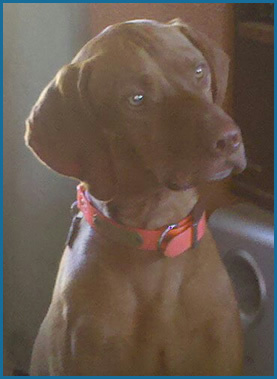 We carefully choose the homes that our puppies go to, so please provide us with information about you, your family, any other pets that you have, and why you want a Vizsla. We will happily consider you for one of our upcoming puppies.